Toward a Solution - SOTSP. 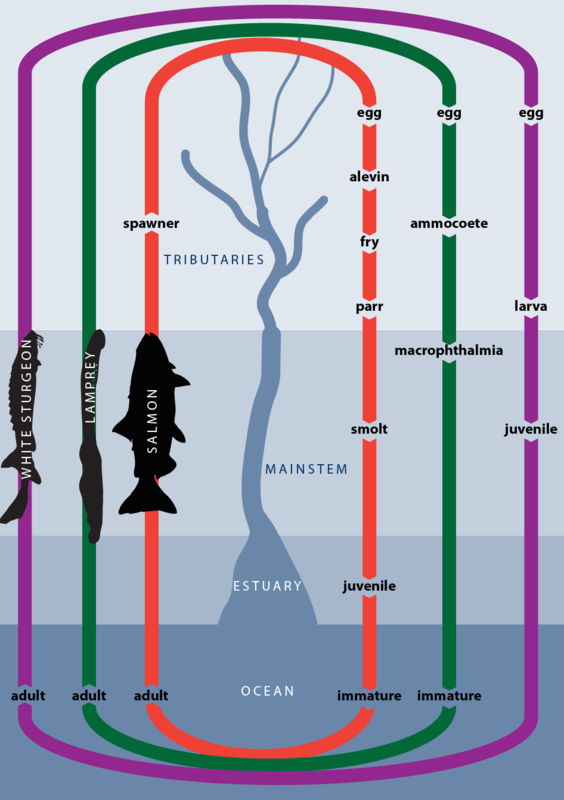 The various salmon species pass through vast expanses of geography during the course of their life cycles (adjacent Figures 3.1 and 3.2). A typical salmon starts life as an egg in the gravel of a stream, often hundreds of miles from the Pacific Ocean where they graze and gain the majority of their adult size. Between stream bed and ocean, salmon need a wide variety of quality habitats in order to grow and develop from a small freshwater fish into a large marine feeder. Because salmon depend on the health of several different ecosystems for their survival, and because so many different cultures in the Pacific Northwest hold them in such high esteem, the salmon are both a bellweather and a lightening rod in the struggle which now rages to retain the ecological and cultural integrity of this vast region. The biological context for the tribal recovery plan consists of the habitat within which the salmon live, the rich collection of biological strategies which the salmon have evolved to flourish in these habitats, and the connections of land, water, plants, and animals which scientists call the ecosystem. 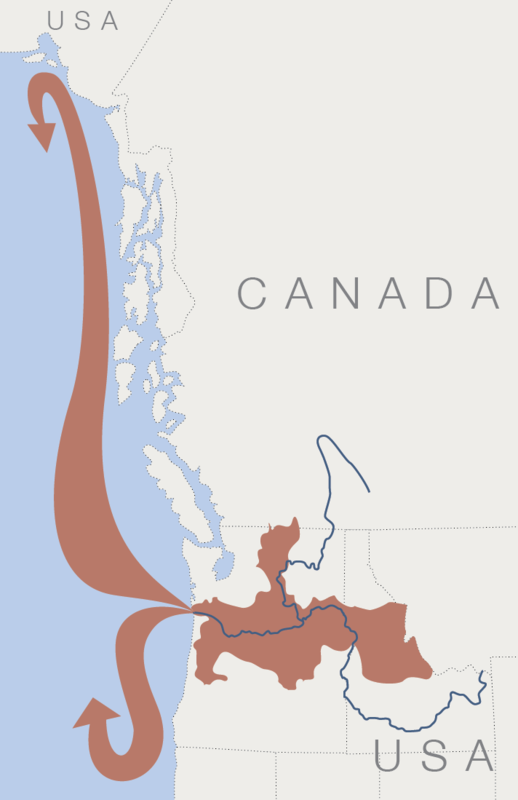 Figure 3.1 Habitat and range of Columbia Basin anadromous fishes. Figure 3.2 Life cycles of salmonids, Pacific lamprey, and white sturgeon in the Columbia River Basin. White sturgeon above Bonneville Dam are no longer anadromous.